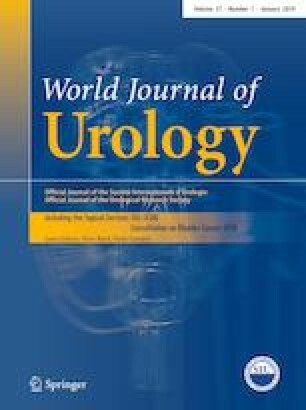 To provide a comprehensive overview and update of the joint consultation of the International Consultation on Urological Diseases (ICUD) and Société Internationale d’Urologie on Bladder Cancer Urinary Diversion (UD). A detailed analysis of the literature was conducted reporting on the different modalities of UD. For this updated publication, an exhaustive search was conducted in PubMed for recent relevant papers published between October 2013 and August 2018. Via this search, a total of 438 references were identified and 52 of them were finally eligible for analysis. An international, multidisciplinary expert committee evaluated and graded the data according to the Oxford System of Evidence-based Medicine. The incidence of early complications has been reported retrospectively in the range of 20–57%. Unfortunately, only a few randomized controlled studies exist within the field of UD. Consequently, almost all studies used in this report are of level 3–4 evidence including expert opinion based on “first principles” research. Complications rates overall following RC and UD are significant, and when strict reporting criteria are incorporated, they are much higher than previously published. Complications can occur up to 20 years after surgery, emphasizing the need for lifelong follow-up. Progress has been made to prevent complications implementing robotic surgery and fast track protocols. Preoperative patient information, patient selection, surgical techniques, and careful postoperative follow-up are the cornerstones to achieve good results. Protocol/project development: ORF, MDT, JP, RH. Data collection or management: all authors. Data analysis: ORF, JP, RH. Manuscript writing/editing: all authors.